(Newser) – Facebook just lost an important legal fight in India, and now one of its board members has complicated its next steps. The mess started when Silicon Valley venture capitalist Marc Andreessen took to Twitter to criticize India's decision to block Facebook from offering free but limited Internet access to poor areas. At one point, when a critic likened Andreessen's position to "Internet colonialism," he shot back, "Anti-colonialism has been economically catastrophic for the Indian people for decades. Why stop now?" recounts the Wall Street Journal. 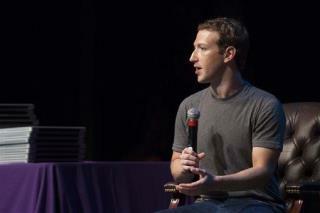 That sentiment drew widespread condemnation and prompted Mark Zuckerberg himself to quickly distance himself from it. And in a series of tweets, Andreessen apologized for his "ill-informed and ill-advised comment." India needs Big Brother too? Tell us who all your friends are, so we can torture them to tell us where you are, if 'we' need to find you. Big Brother is totally up to you! Their concerns about net neutrality are well founded. If a limited version of the internet is presented for free or really cheap it will eventually become the new status quo because it's all they have. And then it spreads because it's cheap and "will do" and then they have their control. It's all or none and I think the Indian government is wise to do this. Facebook is just the free market nsa anyway and Zuck will sell our information, demographics and specifics to whoever pays. I wonder how many likes he got for that one from history-ignorant morons.